I absolutely love this place and, growing up 3 miles from the park and an Annual Passport holder, I was able to, and still am visiting and playing on a regular basis. 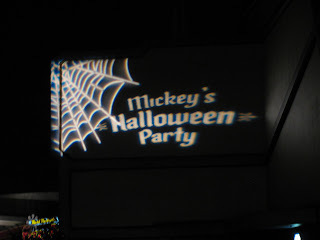 This is the second year I attended Disneyland Resort's Mickey's Halloween Party, which was moved from Disney California Adventure to Disneyland Park this year. I will try not to be too lengthy on this review, but since there were a lot of candy involved (and this blog is dedicated to things I love and sweets), I decided to share my fun (and wet) experience. I attended the October 19 (Tuesday) Halloween event. 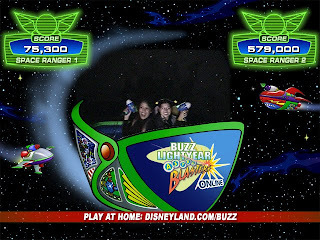 I went with my fellow Disneyland friend, her two boys, and my other two friends who are married. We decided on this date early on because we thought tickets were limited and will be sold out like last year (it wasn't sold out and were still selling tickets the day of). Why Tuesday, October 19? Well, we the events were held only on Tuesdays and Fridays this year and Tuesday events are slightly cheaper (plus, we didn't mind the whole "school/work night thing). 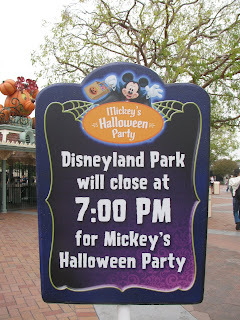 We also did not want a date too close to Halloween (crowds) or a date too early in October (not in the Halloween spirit yet). Little did we know we picked the one day that was forecast to have thunderstorms and heavy rains. Yes, I know, it never rains in SoCal... well, I guess it did! October was a very wet month of us. All day long, I kept a close eye on the rain and prepared umbrellas, rain coats, plastic bags, ponchos, leather boots, and other necessities. I am not a big fan of the rain. I hate it. My glasses get wet, I can't see well, the roads smell damp, worms come out, and kids act all crazy. Me no likey the rain. 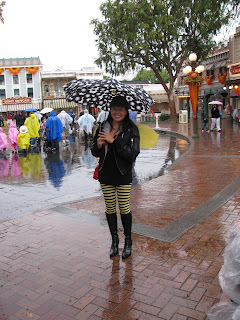 At 3:00pm, the time we were initially going to head to the park, the rain was POURING. My friends and I hid in my house, but eventually gave up and venture out in the pouring rain around 4:00pm. 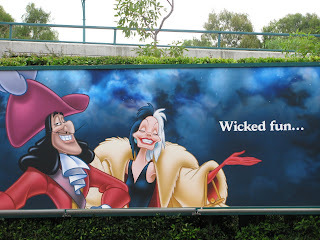 We got to the park a mere 5 minutes later and found comfort in the parking structure. I love how organized the parking is at Disneyland. So magical. 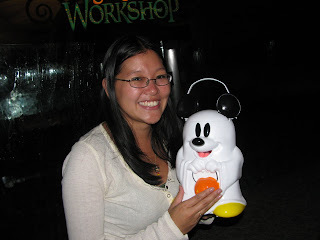 After fighting our ways onto the tram (someone tried to cut us off in the "stroller" line for the trams), we got our wristbands and cute little trick-or-treat bags. 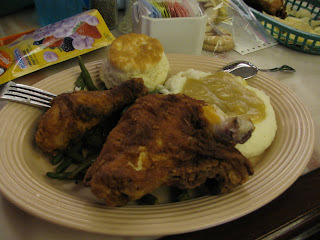 We were starving by now and really, really wet so we found shelter inside the Plaza Inn. My friend got the famous Disney corn dog from the cart right outside the restaurant and I was finally able to try the famous fried chicken. Trust me when I tell you that this is some delicious chicken! I love fried chicken, but my dinner tasted special... almost magical. 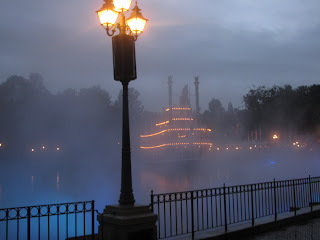 Because of the rain, the servers were extra careful to make sure you are buying food inside the Plaza Inn and not just taking advantage of the indoor seating. 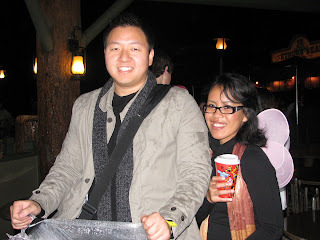 Along with the candy stations, we were able to ride some of the attractions with very short or no lines! I love walk-ons! 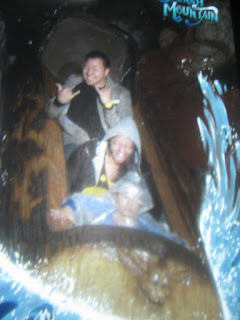 I personally rode my favorite rides: Splash Mountain (I was already wet so I didn' care), Indiana Jones, and Buzz Lightyear. 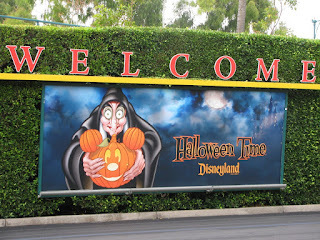 Some of the other rides my friends rode were Matterhorn and Ghost Galaxy (the scary Halloween version of Space Mountain). Other fun attractions that were only available during Mickey's Halloween Party were the special Halloween/Villains-themed fireworks show, a hip dance party at Tomorrowland's Terrance (I got to boggie with Buzz and some Green Army Men), and a special "parade" called "Mickey's Costume Party Cavalcade" (which we missed). Halloween music was played throughout the park, lights were dimmed, the Rivers of America had eerie lighting and fog, the castle was orange and green, and special images were shown through special lights. Because of the wet ground and cloudy skies, the evening's atmosphere felt very Halloween-y. The event ended at 11:00pm and we SLOWLY headed out of the park. One downside of the evening? There was only ONE tram running at the end of the night. 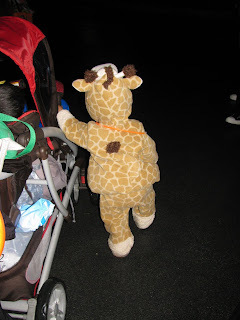 Do you know how long the stroller line is for the tram? 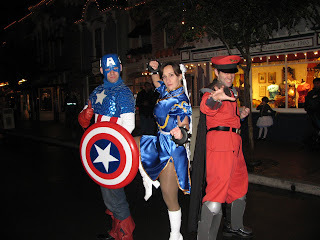 My legs were tired from walking in boots on cobbled Disneyland streets and from walking and standing all evening long. My arms were sore from carrying my candy and the kids. The last thing I needed was to stand in line for 20 minutes+ for a tram. Should have walked the 1/2 mile back to the parking structure. The tram line was the longest line I had to wait in all night. Kind of funny, actually. When I got home, which was a little after midnight, I dumped all of my stuff and wet clothes and headed straight to bed. I had such a good sleep. 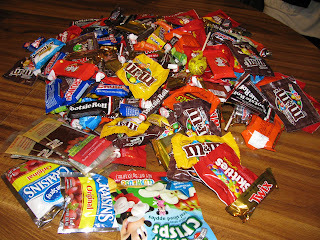 I was finally able to sort through my candy, weigh it, and really reflect on the evening this morning. I took home a total of 8lbs worth of treats. Not too shabby. It was a great evening. I didn't like that Disneyland decided to raise the prices from last year and not give AP holders a discount, but it was worth price. The event was fun, festive, and safe. I would definitely do it again next year.... unless they decide to raise the price again. If so, we'll talk again next year! Annual Passport holders can enter the park and get their wristbands inside at the Plaza Pavillion or at the entrance turnstile marked "Special Events". 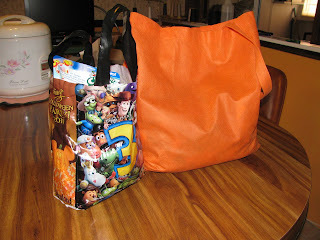 Bring a large bag with a wide strap that you can carry over your shoulder or a backpack to hold all the candy. The bags they pass out are dinky and difficult to carry. 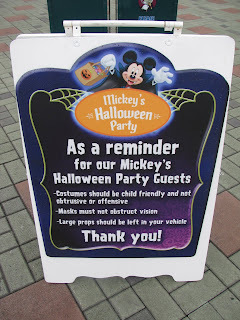 Better yet, bring a stroller to push your candy bags around. They did plenty of wristband checks the first hour of the event so it is definitely harder to crash the party now (contrary to earlier reports). Make sure you eat before the event starts because you do not want to waste any "Halloween" time sitting inside a restaurant. There are tons of Disney Halloween souvenirs and treats to purchase such as pins, hats, caramel apples, pumpkin muffins, and so on. 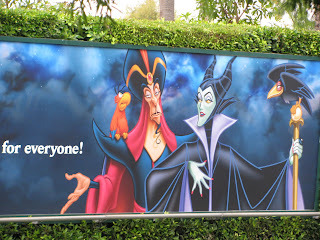 Do not fill yourself up with candy before riding the fast rides unless you are one of those crazy people who can eat and ride Space Mountain right away. Props to you. Make sure you give yourself 15mins to find a good seat for the "parade" and the fireworks. Best place for fireworks? 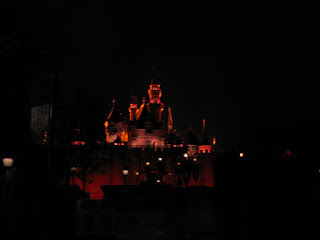 Find a view that is centered, but you don't have to up super close to the castle. I hope you enjoyed my review! If I think of anything else to add (info or photos), I'll be more to update it here! 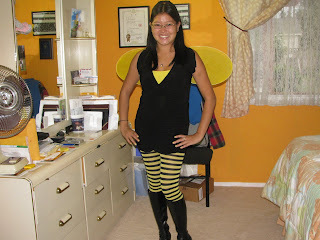 Happy Halloween from a Disney Addict!